An innovative solution to prevent criminal activities will be deployed during the 2016 Olympic and Paralymic Games in Brazil this year. Security authorities responsible for safeguarding the events have chosen Altave’s Altave Omni Aerostats as a key surveillance technology. The Altave Omni is the first wide-area persistent surveillance aerostat developed for civilian application. Four Altave Omni units will fly 200 m above the ground at all four Olympic venues, permanently observing all activities. The Altave Omni is the first wide-area persistent surveillance aerostat developed for civilian application. These aerostats were selected due to their unique ability to prevent, detect and quickly investigate suspicious acts. 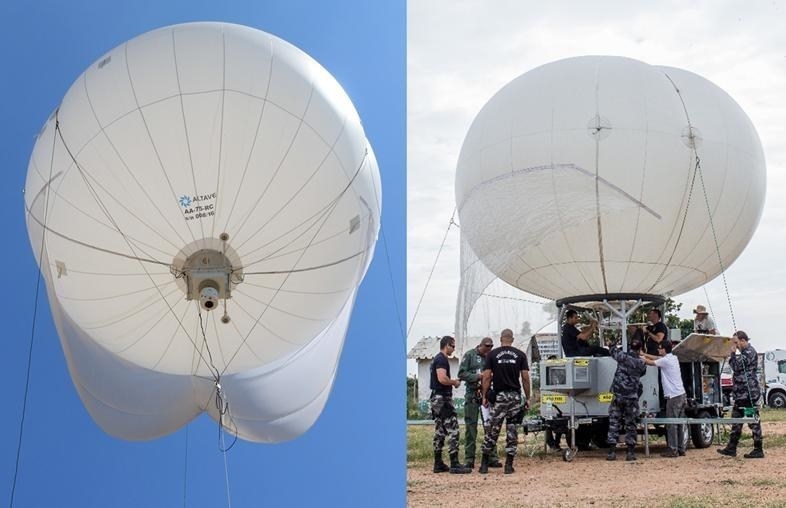 Altave believes that the six-metre aerostats floating continuously at 200 m above the ground are intimidating to potential terrorists or criminals. The units captures imagery of more than 120 MPixel per frame (60 times a full HD resolution or 15 times a 4K resolution), at three frames per second. They also offer the capacity for real-time detection for multiple users. Up to six users can watch different parts of the full captured image, as if they were independent pan, tilt and zoom cameras. Altave Omni also provides forensic investigation for multiple users. Up to two users can locate an event by time and GPS coordinates and track backwards and forwards to understand the facts. The units cover an area of up to 40 km2, all the time. Even if the users are zooming into a specific area, all of the area is recorded for future access. The aerostats can offer up to three days of continuous flight, after which a small amount of helium replenishment is required. All necessary items for operation can be transported in a trailer, allowing the user to change launch sites. The total contract value granted to Altave was approximately US$8 million, and included all items required for the four systems to operate, such as the aerostats, winch systems, tethers, trailers, optronics, imaging processing servers, energy supplies, software and training. The project was developed under demanding deadlines, notes Altave. The company says it had six months from signing to delivery of four field-tested units, which were delivered ahead of schedule. Ask the Expert: Are IP-based systems really reliable?